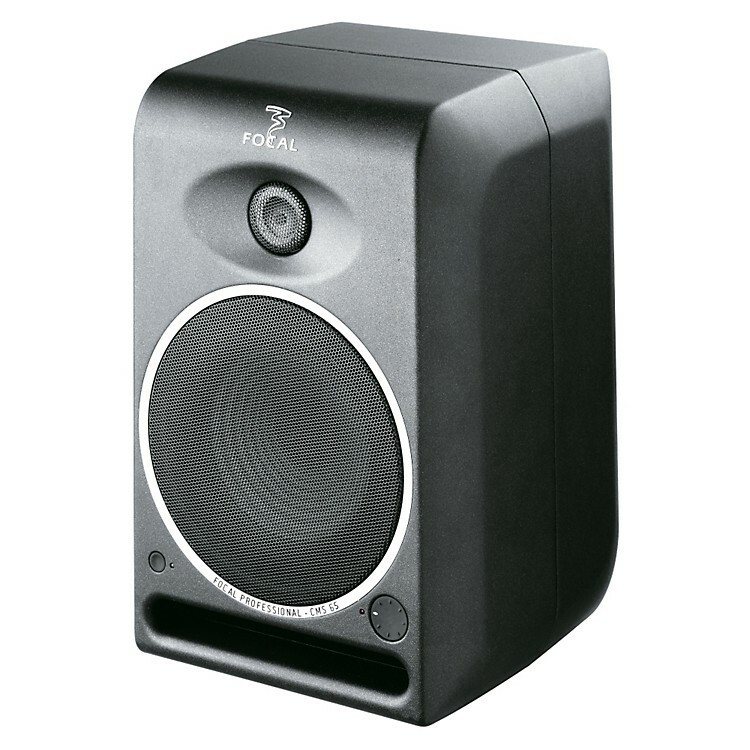 The CMS 65 is Focal's flagship studio monitor. Receiving the 2008 Excellence Award from Pro Audio Review Magazine was a well-deserved achievement considering the CMS 65 has an amazing performance/size/price ratio. Its extended response at 45Hz (-3dB) allows for easy installation even without a subwoofer, while the overall sound is characterized by defined high-end frequencies, transparent midrange and adjustable control of the midbass and bass registers. The tonal balance is extremely stable, even at very loud volumes, ensuring accurate reproduction when mixing and mastering. The CMS 65 will sit nicely in any studio. The CMS 65 will have no trouble integrating into your studio. Order a pair today.